New Perk for All WP Minder Subscribers – Tutorial Videos! Also as a bonus – if you’re using WordPress SEO by Yoast to help you optimize your content for better rankings in search engines, this is just for you. Get access to our 13-part series on getting the most out of Yoast. 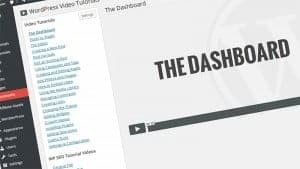 Best of all, these videos are part of your WordPress dashboard – you don’t have to go anywhere but your own WordPress site to find and watch them. Every WP Minder Plan from Starter to Premium gets access as part of their subscription. See more info on the Plans.